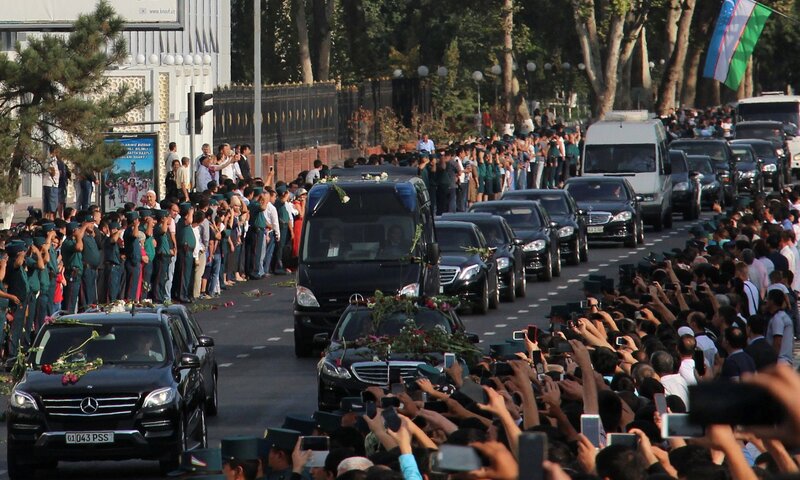 Staff and Agency | Thousands of Uzbeks have lined up along Tashkent’s main thoroughfare at dawn on Saturday as the president’s funeral cortege passed by. People pay the tribute to the late president Islam Karimov as the funeral motorcade passes along a road in Tashkent on Saturday. Uzbekistan has started three days of mourning as it buries its president, Islam Karimov, who spent 27 years in power. Thousands of Uzbeks lined up along Tashkent’s main thoroughfare at dawn on Saturday as Karimov’s funeral cortege made its way through the city. Karimov, who died on Friday at the age of 78 after suffering a stroke, will be buried later in the day in his hometown of Samarkand, about 300 km (185 miles) southwest of the capital. The veteran leader has run the Central Asian nation since 1989 and nearly half of Uzbekistan’s 32 million citizens were born while he was in power. 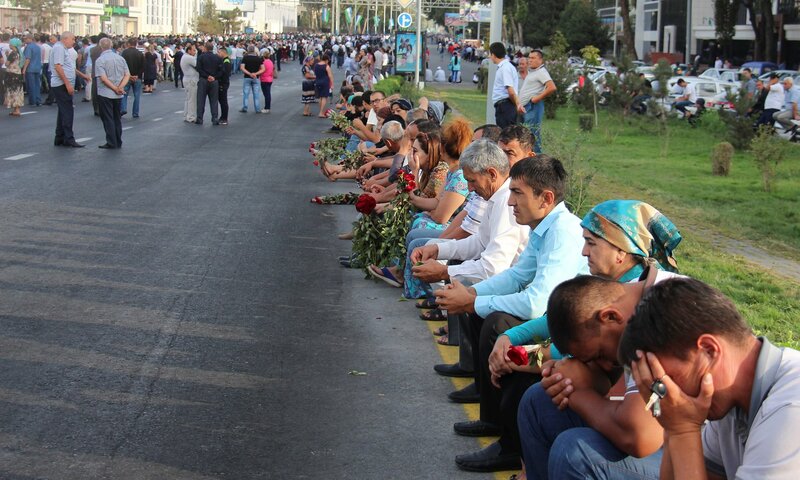 Uzbeks mourn the Islam Karimov in Tashkent on Saturday. Many mourners held flowers, mostly red roses, which they laid on the road as the funeral train, which set out at 6am (0100 GMT) drove by on its way to the airport. In Samarkand, his coffin will be displayed in a city square from 9am for people to pay their last respects before being buried in a nearby cemetery, Russian news agencies reported, citing local officials. Russian prime minister Dmitry Medvedev is expected to fly in for the funeral, along with a coterie of leaders from former Soviet republics including Tajik President Emomali Rakhmon, Turkmen President Gurbanguly Berdymukhamedov and the prime ministers of Kyrgyzstan, Belarus and Kazakhstan. The Kremlin’s top political adviser, Yuri Ushakov, said Russia expects the political situation in Uzbekistan to remain stable after the death of Karimov. People gather to pay the tribute to Islam Karimov in Tashkent. “We hope (the situation) will be stable,” Ushakov told reporters on the sidelines of a business forum in the east Russian city of Vladivostok. Meanwhile, China’s foreign ministry called Karimov “a sincere friend” who promoted a strategic partnership between the two countries. 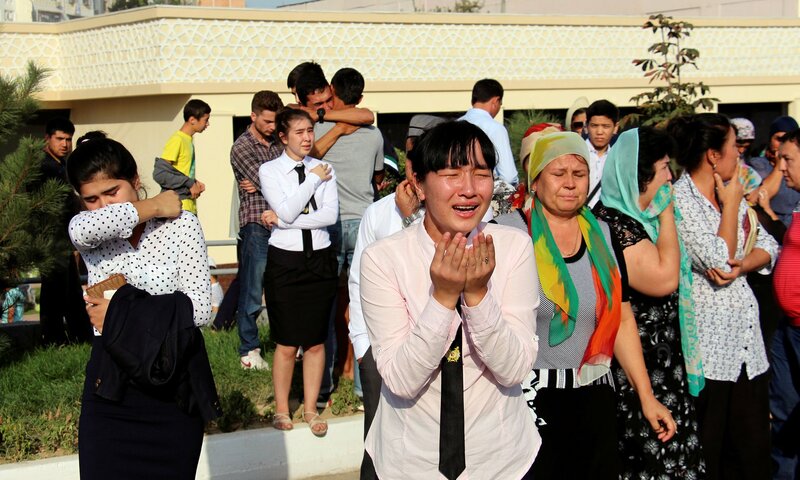 His death “is a great loss of the Uzbek people,” ministry spokeswoman Hua Chunying said, according to state media. Posted by Above Whispers on September 3, 2016.